BlogBusinessIs Your Head in the Clouds? 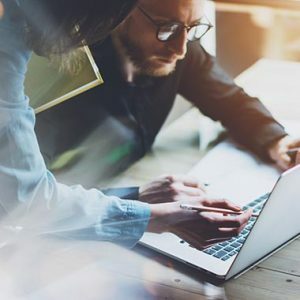 Everyone has heard of the enormous amount of benefits when migrating to the cloud, but what does that mean from a customer’s point of view? I mean nobody really wants to call into a contact center… ever. Its no wonder the majority of calls end up in hang ups and frustration and most of the time it’s the fault of the call center whether its lack of staff or technology. The solution – move your contact center to the cloud. 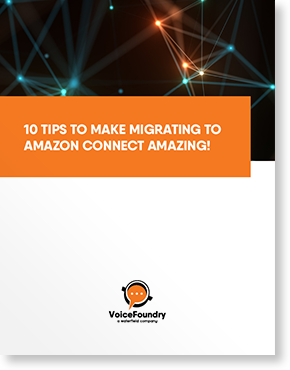 But the great debate is whether this migration can do more than just save you money, can it actually improve your customer experience? A recent study by the Aberdeen Group indicates that yes, it can improve customer service. In fact, it showed abandonment rates were significantly lower in cloud contact centers compared with traditional call centers, with just 4.5% of calls abandoned. So Why Do Customers Hang Up? Well, as previously discussed, customers don’t want to be calling in the first place so there is already a bit of frustration. Add in long hold times or being transferred around from agent to agent having to yet again explain your reason. Or worse case, the customer gets an agent who is not able to resolve his or her problem. A dated call center system could be a costly mistake. Products or services won’t make up for bad customer service, even if they are unbeatable. The damage to your business might not seem like a lot but according to the research, it’s 6-7 times more expensive t o acquire a new customer than to keep an existing one. Why Do Customers Stay on the Cloud? Lots of reasons. Viewed simpler, with clever call routing you could ensure your best customers are getting to the most senior agents ensuring they remain loyal and satisfied. Or you could even prioritize customers whose contracts might be coming up for renewal to ensure their service is beyond stellar, locking in next years contract. Because cloud based contact centers are scalable, they in turn are greatly efficient. You can expand or scale down depending on demand. With cloud technology, you no longer need an office to house agents. And if you’re busting at the seems with calls, your agents can now work from home simply by connecting to the server via the cloud. Having the ability to adapt on demand should ensure that there are always plenty of agents to take calls, which means reduced hold times and happy customers. Helpful messages aka marketing new products to an existing customer as he/she waits on hold. With cloud technology, these messages can be targeted to specific customers allowing for a selling opportunity while waiting. Generic is out, personalized is in – these messages will use previous data on the customer to ensure it’s as tailored as a new suit. All in all – cloud based contact centers have the ability to keep both customers and businesses happy. So, what are you waiting for? Get your head in the clouds and contact VoiceFoundry today to find our how we can help migrate your contact center.